Fabric Wrapped Panels offering superior performance, design flexibility, and an attractive aesthetic. 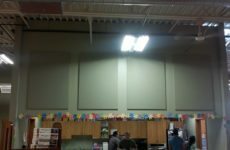 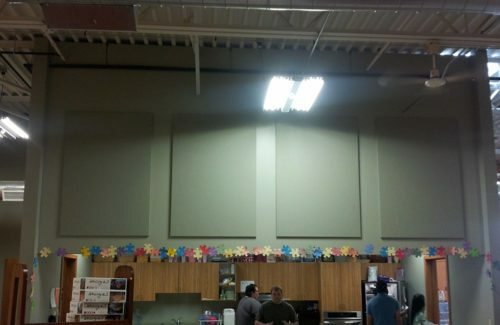 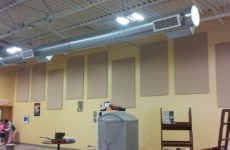 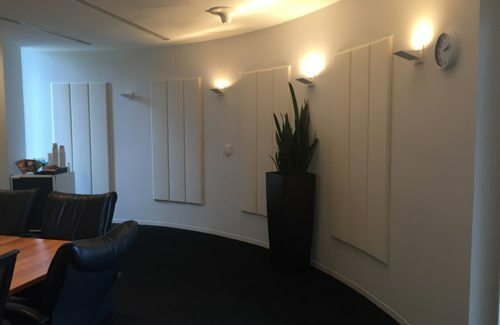 Fabric Wrapped Panels, (also referred to as absorbers) are a popular and inexpensive way to absorb reverberant sound (echo). 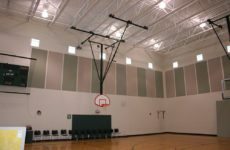 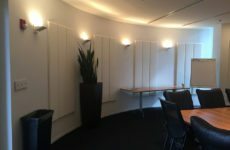 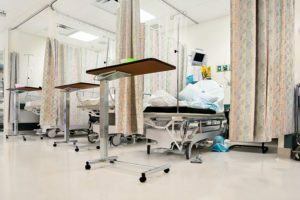 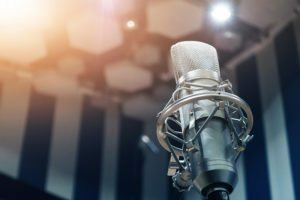 Our fabric wrapped panels can eliminate or dramatically reduce the amount of echo in a variety of settings, creating acoustic balance across all frequencies—where other acoustic panels can only absorb mid-to-high frequencies (not low). 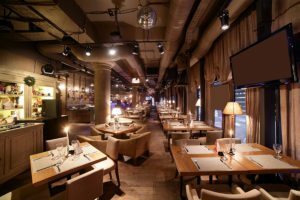 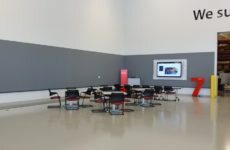 Constructed with a rigid fiberglass board that’s wrapped in fabric or vinyl (multiple colors available), fabric wrapped acoustical panels can be attached to both walls and ceiling and exhibit an attractive aesthetic in addition to superior sound absorption. 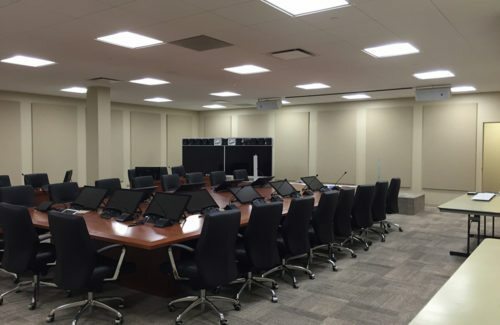 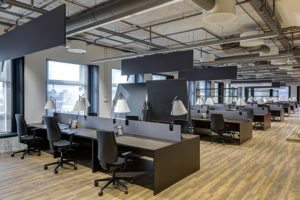 Conference rooms, offices, corporate lobbies, training rooms, classrooms, music rooms, auditoriums, worship spaces, and more. Thicknesses from 1 to 4 inches and sizes up to 4 ft. x 10 ft.
Sound Absorption per ASTM C-423; Type A Mounting. 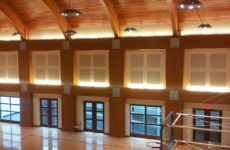 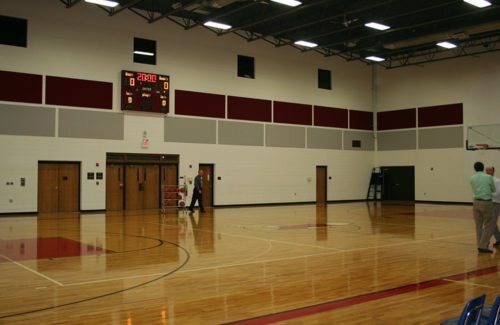 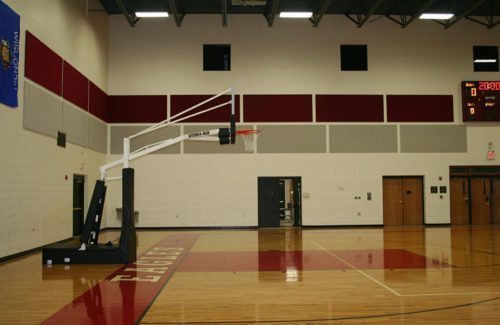 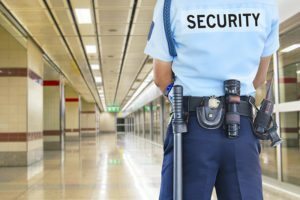 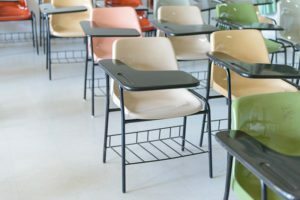 Noise control product design and installation helps improve student performance within schools and provides quieter, more peaceful environments for worship spaces.